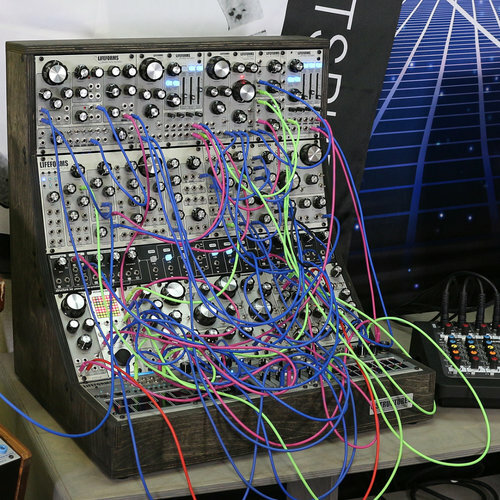 Uncompromising power, craftsmanship, and a deep set of integrated utilities combine to create a flagship eurorack case for the Pittsburgh Modular Structure lineup. 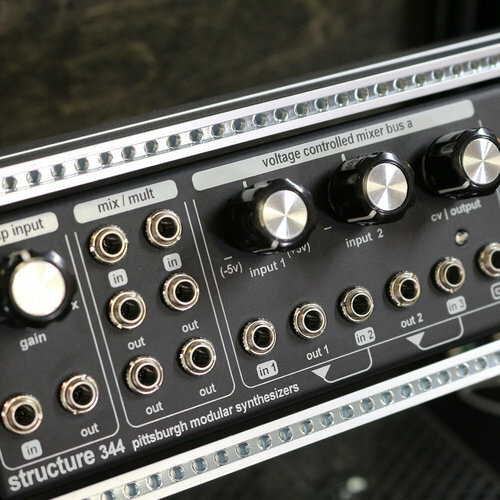 An inspiring centerpiece to any electronic music studio, the Structure 344 merges a classic form with robust power and deep, integrated synthesis tools. 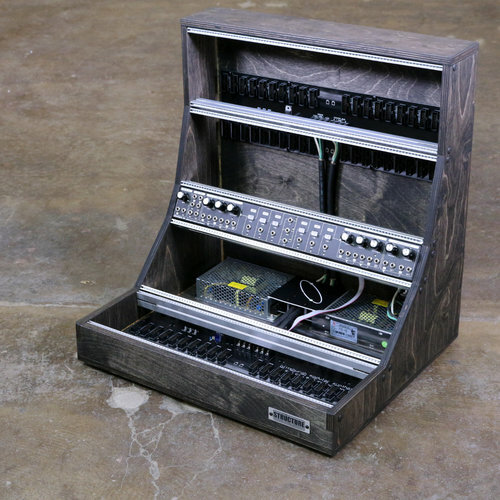 The 4 row, 344 hp desktop eurorack case features a custom Utility Bridge to handle a wide assortment of functions incorporating a preamp, mixer/splitter, dual voltage controlled signal buses, buffered, cascading attenuators, and more.